On a spring evening in 1972 I was introduced to the person who would change my life. Cleto Munari remembers the meeting well. It took place in Vicenza, the Palladian city north of Venice, where both he and Carlo Scarpa worked. In Scarpa the architect, Munari found friend, teacher and collaborator. The first two hours of the day we would spend discussing design. The rest of the day was devoted to architecture, history and art. I practically moved in with him. And naturally, in between the discourse was eating. Both men were connoisseurs of Venetian cuisine—crustaceans from the lagoon, vegetables of Sant’ Erasamo, polenta and risotto. Munari had often thought how the design of utensils should reflect the magnificence of the meal. With Scarpa he found his designer. 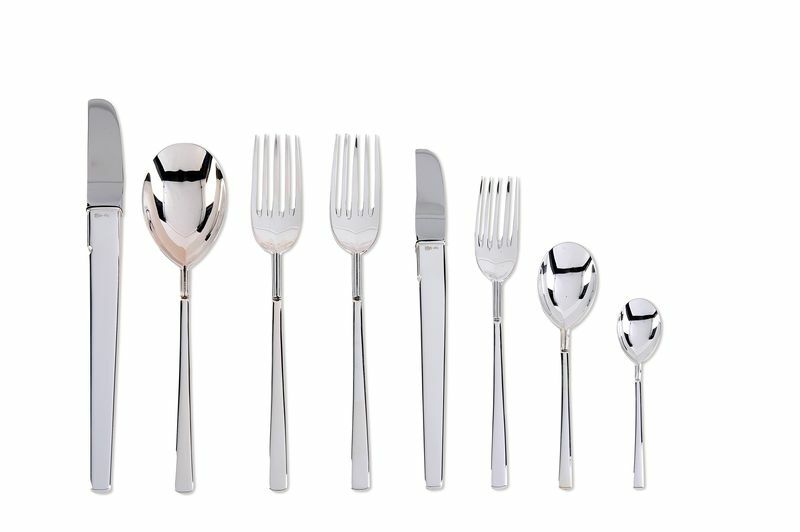 Munari wanted his cutlery to be the “most beautiful in the world” and he felt Scarpa was the only one in Italy at that moment who could elevate something as utilitarian as a fork into a modern masterpiece. Read more on Global Trends. To read other articles JoAnn Locktov has written about Scarpa, click through to The Unbearable Lightness of Scarpa and The Measure of a Man.